Dreams, debt, and self-discipline. Ken Ilgunas van is Thoreau's Walden Pond in Walden On Wheels. Inspired by Henry David Thoreau (1817-1862), Ilgunas embarks on a minimalist lifestyle in an effort to eliminate $32,000 of student debt and then graduate with a Duke Master's Degree debt-free. The author accomplishes the latter by secretly living out of his van in the Duke parking lot, learning, hiding, and surviving. Ilgunas book is cleverly organized and fun to read. Each chapter begins with his current location and debt balance. It is interesting to see him maturing even as his debt diminishes. 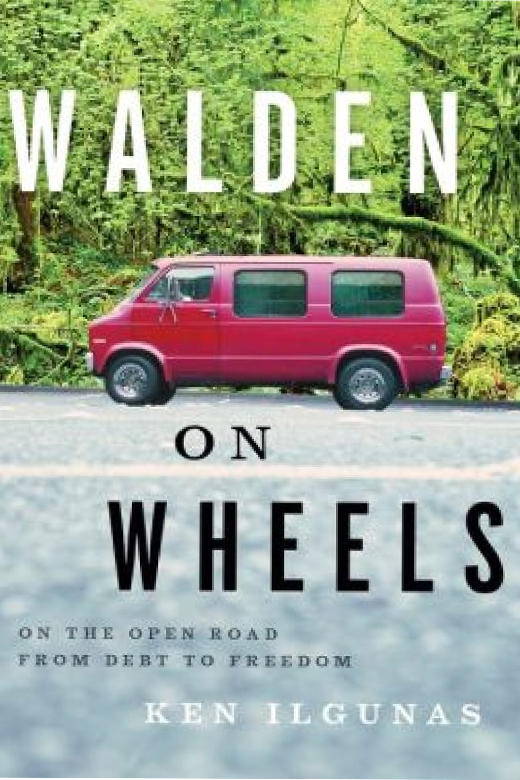 An educational "Road Less Traveled," Walden On Wheels is a coming of age story and more. It is social commentary with respect to education, student debt, the great outdoors, and what really matters. Insightful, philosophical, highly practical. Ken Ilgunas will have you thinking twice about purchasing that latte.